New Product Development (NPD) is about the ideation, formulation, and implementation of new and superior solutions in the market. Beyond the obvious need for organizations to innovate in order to compete, embedded in any NPD program are knowledge, technological expertise, and the social networks that convert these capabilities into offerings that create value at every level-for customers, industries, communities, and regions. This volume provides an array of knowledge perspective in NPD across multiple levels of analysis and geographic regions, including Europe, the United States, China, Japan, and India, to explore the dynamics of NPD in today's global environment. 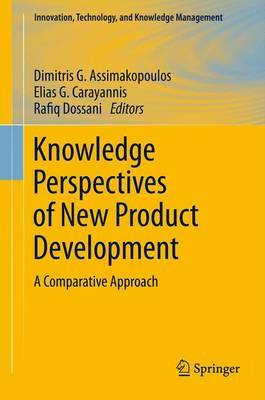 Presenting case studies from such industries as ICT services, semiconductors, software development, bio-technology, higher education, and even safety for children's toys, and drawing from a variety of theoretical perspectives, including technology and knowledge management, sociology, economic geography, and organizational behavior, the authors highlight critical success and failure factors in NPD.